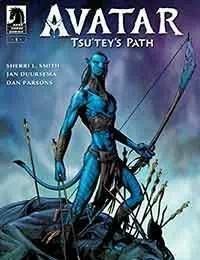 Tsutey, proud warrior of the Omatikaya clan, betrothed to Neyteri, has his life turned upside down by the arrival of Jake Sully of the Sky People. Reveals events only hinted at in James Camerons Avatar! James Camerons masterpiece comes to comics! Written by award-winning novelist Sherri L. Smith!